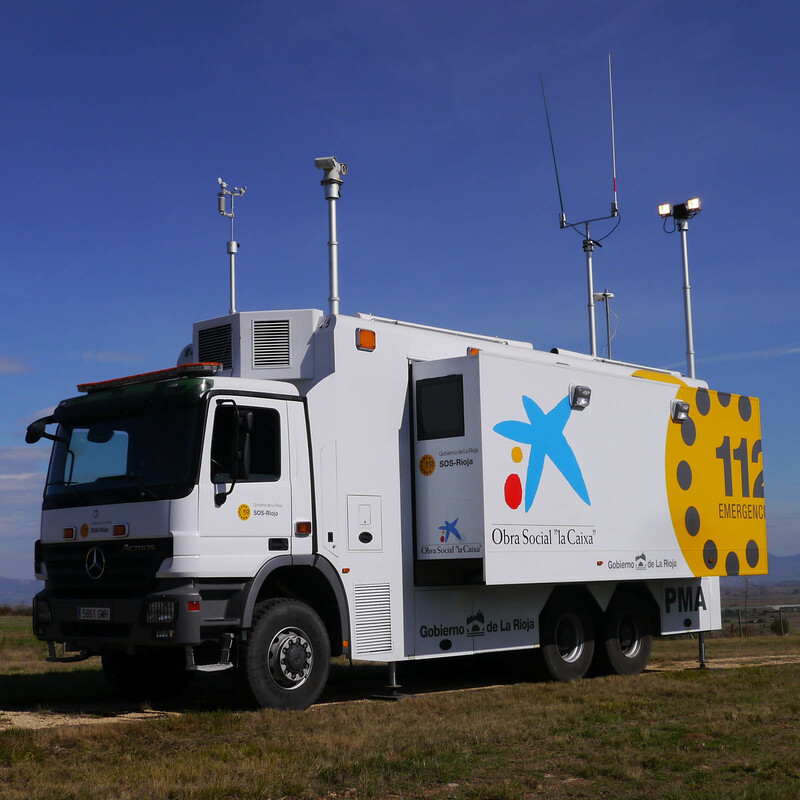 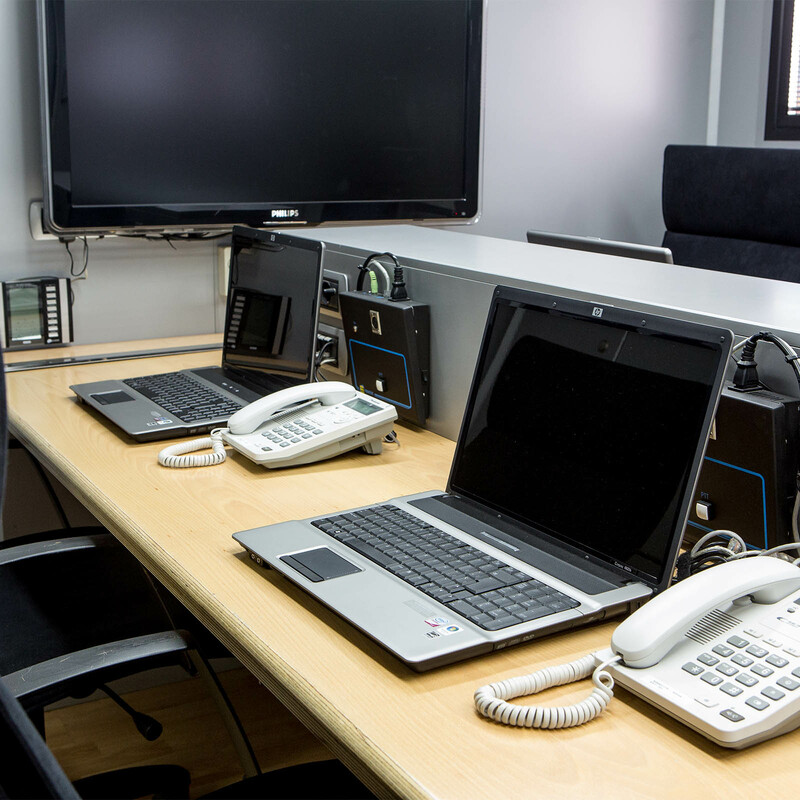 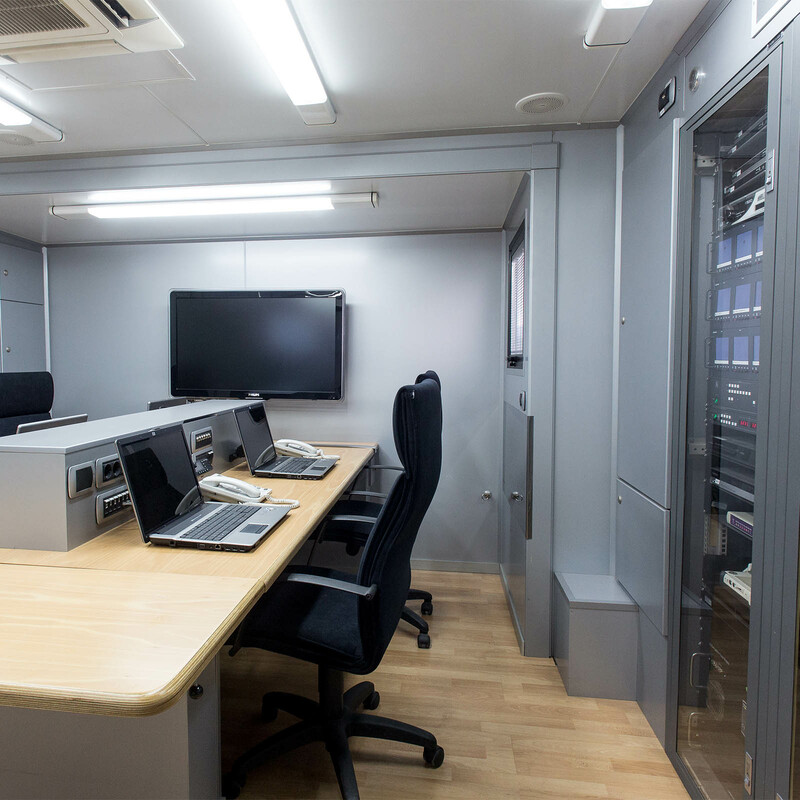 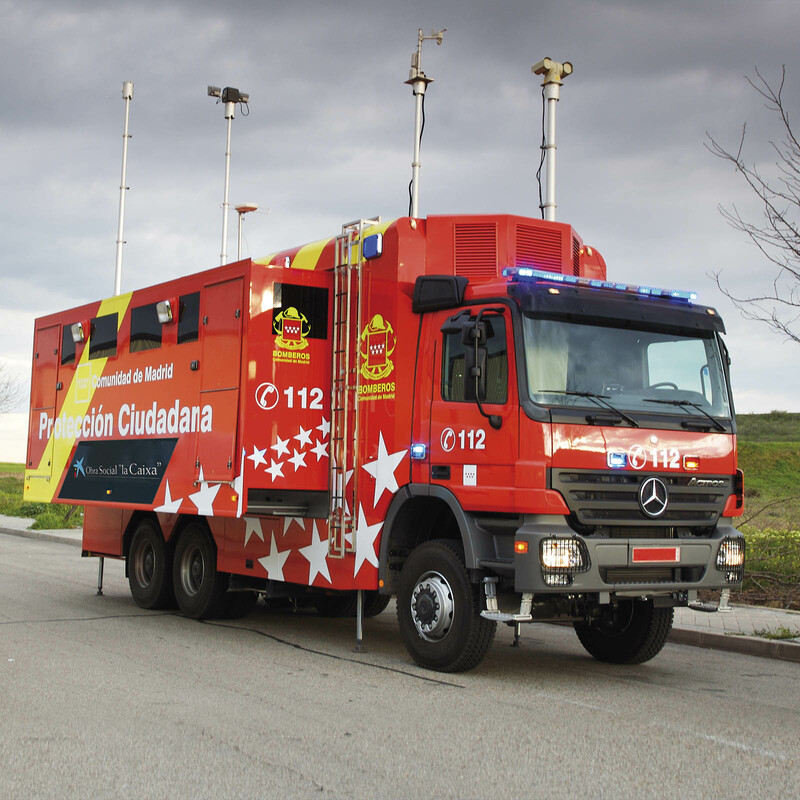 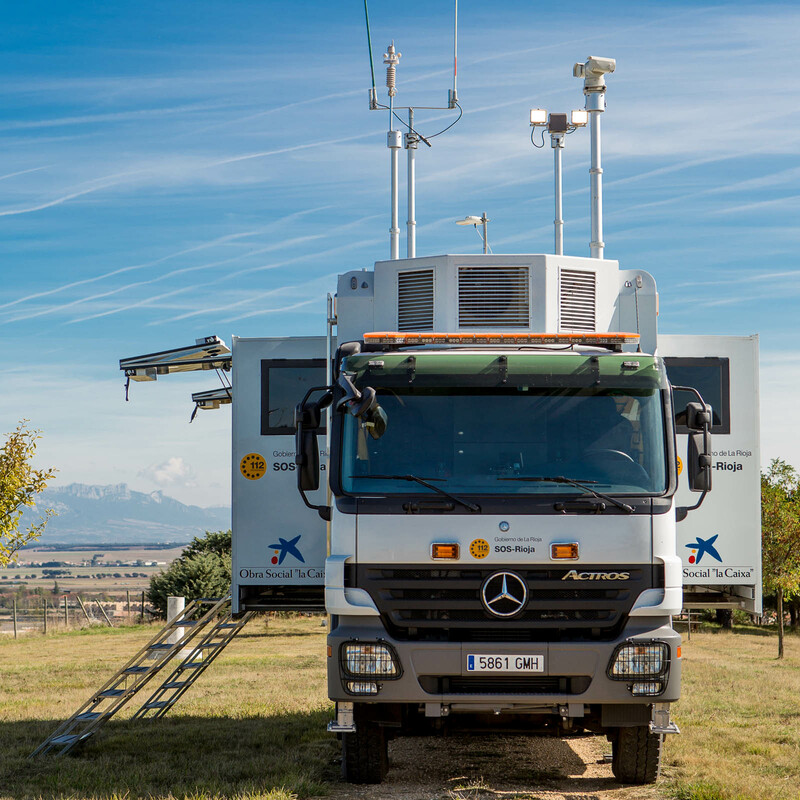 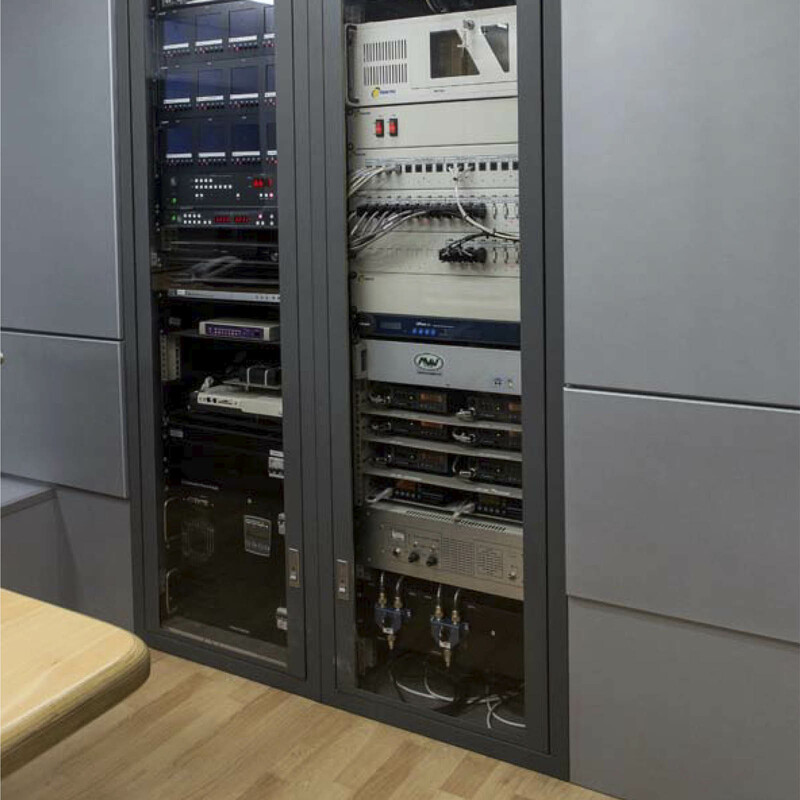 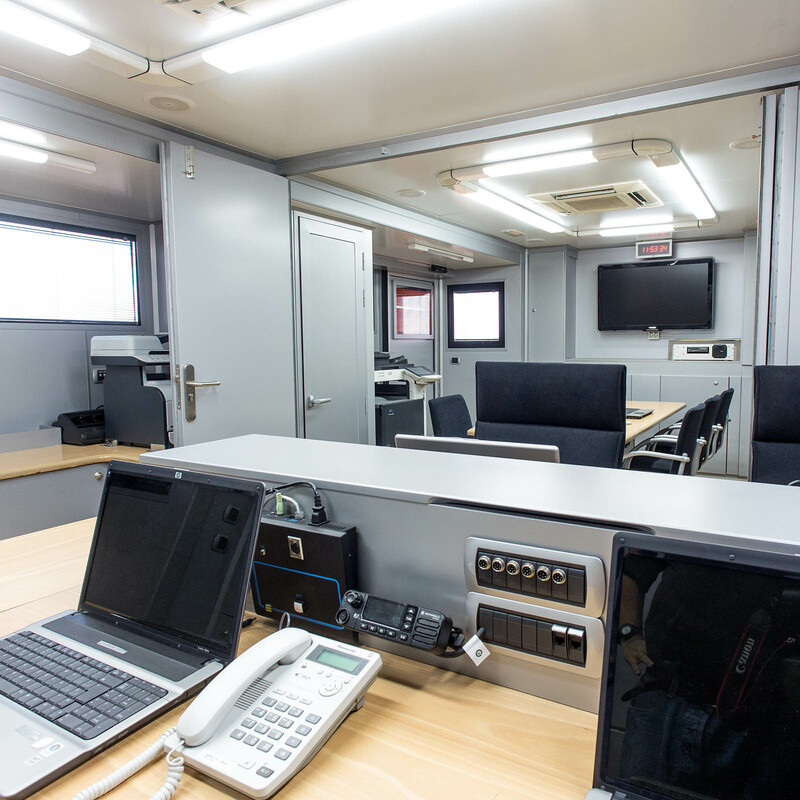 Our advanced control post vehicle is a vehicle used to coordinate and execute operations in emergency situations and catastrophes, necessary to carry out fast interventions. 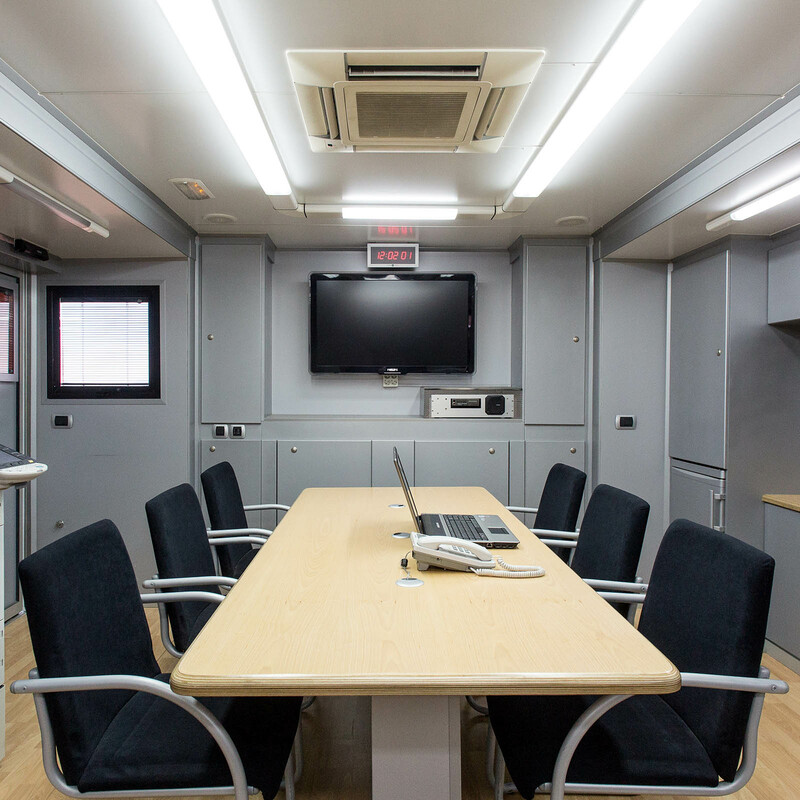 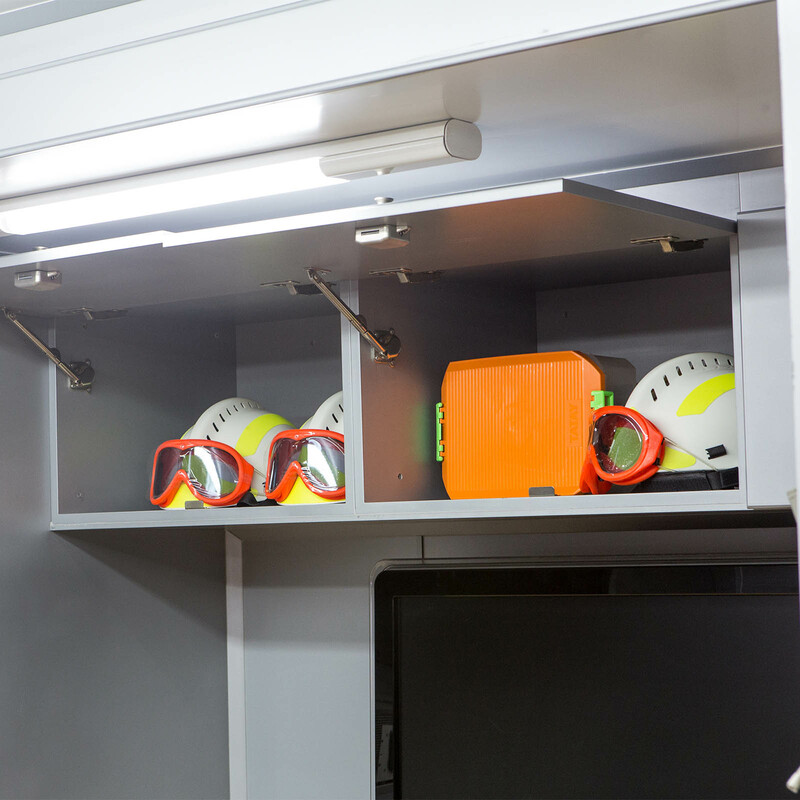 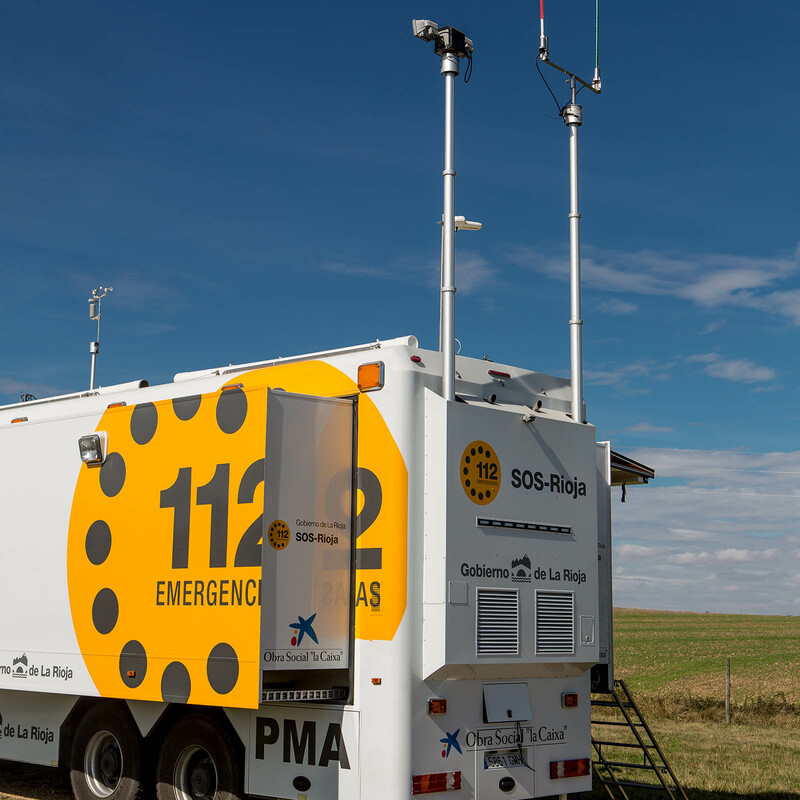 The vehicle is comprised of extraordinary means and recourses that convert it into a control centre to coordinate the different crews mobilised in emergency situations. 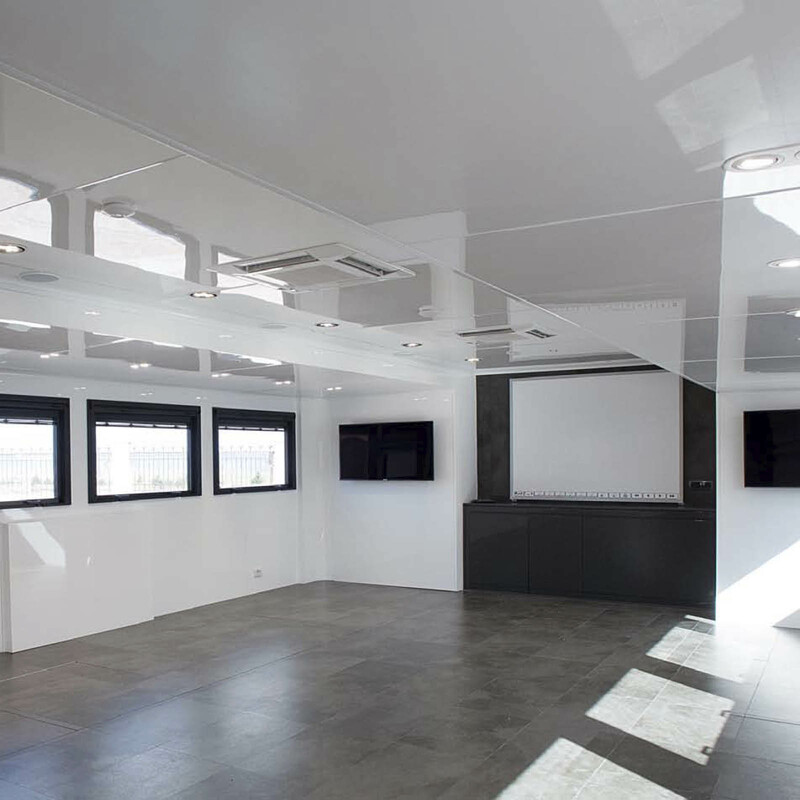 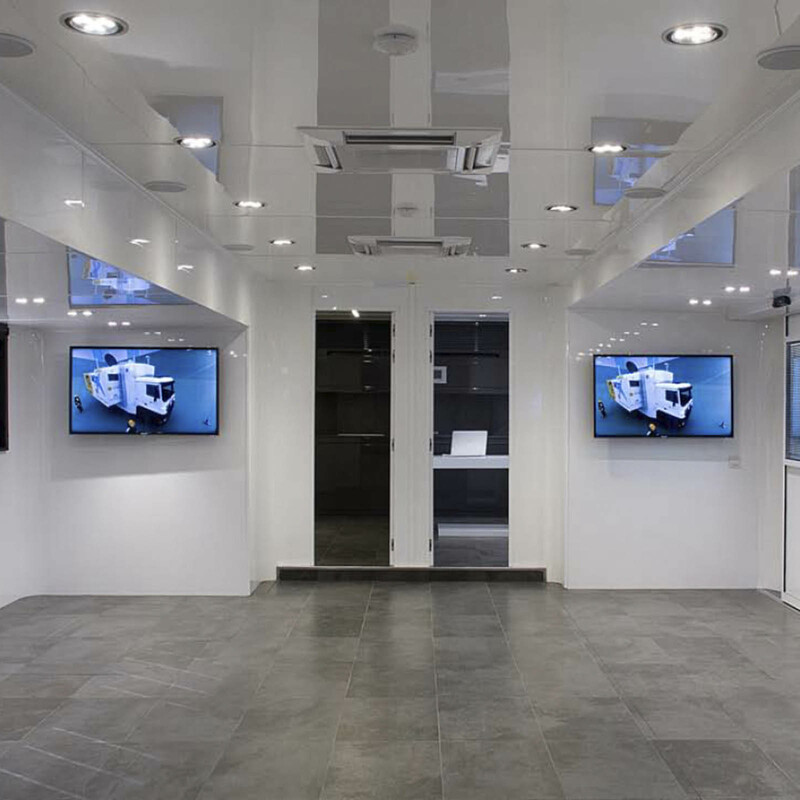 Vehicle with double slide that results in an interior area of 30 m2. 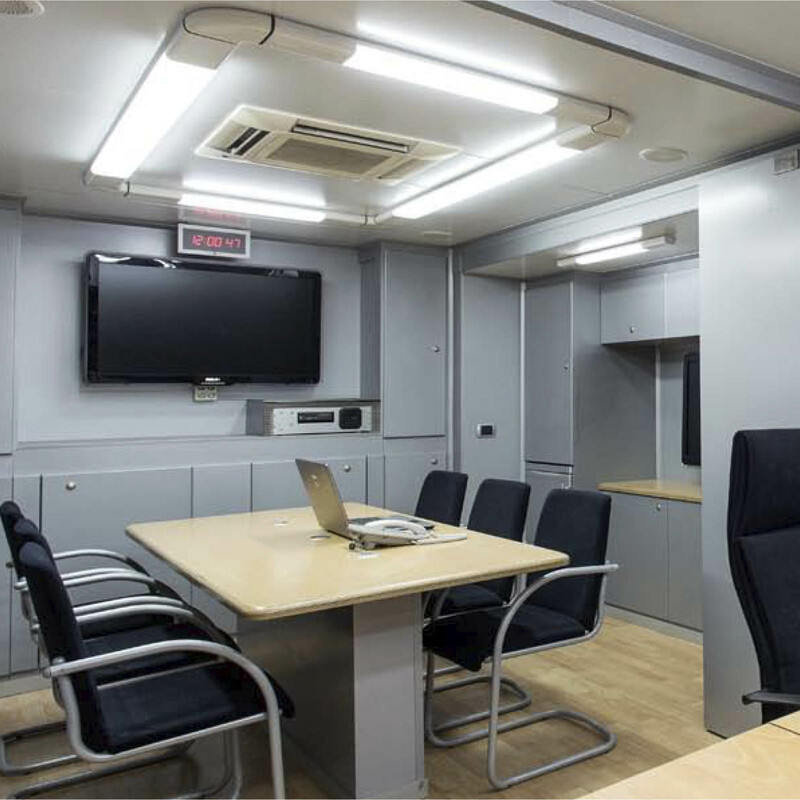 It can travel on any terrain or environment, due to its solid and robust construction.